CHARLOTTESVILLE, Va. (August 16, 2016) – For the second time since opening its doors in 2005, Marketing Mojo, a digital marketing agency founded in Charlottesville, Va., has been recognized by Inc. Magazine for its business growth. The Inc. 5000 is an exclusive list that ranks the top private companies in America by percentage of revenue growth based on the previous three years. 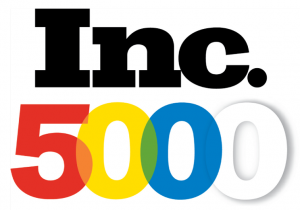 Marketing Mojo joins the 2016 Inc. 5000 list at position 4,325. The firm recently celebrated its 10-year anniversary last December. Marketing Mojo is a full-service, data-driven online marketing and demand generation agency. Originally founded in 2005 as Search Mojo, Marketing Mojo has evolved its core services to adapt to the ever-changing needs and challenges of marketers – helping them to achieve their online marketing goals through search marketing, paid media, content marketing and marketing automation. With experience in a wide range of digital marketing disciplines, the Marketing Mojo team uses the latest information and techniques to help companies maximize the sales funnel and get the highest quality results based on their goals. For more information, visit Marketing Mojo at marketing-mojo.com or read the Marketing Mojo blog.